Simon was an English man probably from Kent, and helped the Carmelites change from hermits to being part of the new movement of friars. He was prior general of the Order and died in Bordeaux in 1265. Tradition has it that in those difficult days of transition, Simon had a vision of Our Lady who promised to protect the Carmelites and that the Carmelite habit would be a sign of her care. It is from this tradition that the Brown Scapular devotion grew, and that wearing the Scapular (a smaller version of the habit) was a way of being open to Mary’s care. It was also a sign of Christian commitment. 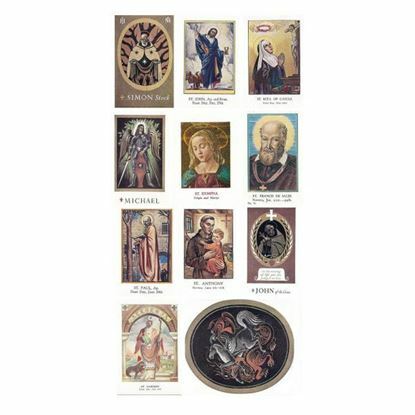 The Scapular is now a world-wide devotion. 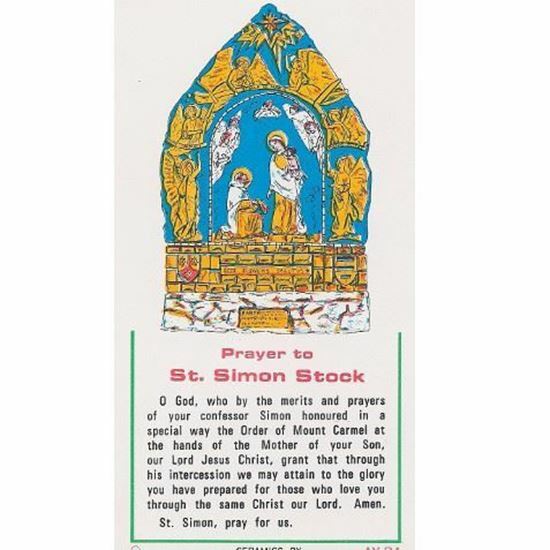 Since 1951, St Simon Stocks relics have rested at Aylesford Priory, and are housed in a beautiful reliquary created by the Polish artist Adam Kossowski. Thousands of pilgrims come to Aylesford every year to pay honour to St Simon Stock and Our Lady. St Simon of England pray for us. 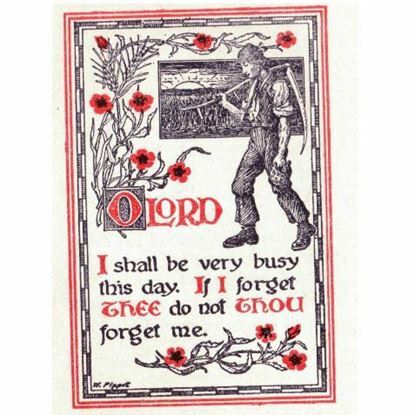 This is a beautiful prayer card printed in the early days of the Shrine. According to Carmelite tradition, in the year 1251 the Virgin Mary appeared to Saint Simon Stock and gave him a brown scapular to wear as part of the Carmelite habit. A simplified version is used by lay members of the scapular confraternities which is two square pieces of cloth attached with strings, hanging back and front over the shoulders. Today the brown scapular of the Carmelites remains one of the most popular devotions in the Church. 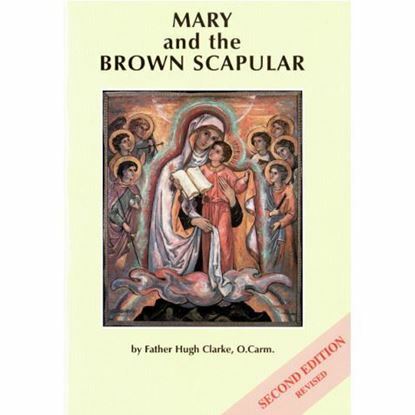 In this revised booklet, Fr Hugh shows the biblical foundations for the devotion and how the scapular has been understood by the Carmelite saints, as well as making that devotion come alive for us. Number of Pages: 60.